In compliance with the obligations set forth in The General Data Protection Regulation (EU) 2016/679 regarding the processing of personal data executed on 25th May 2018, we hereby state that the company Bottega Incisioni di Cesare Giovanelli s.r.l. located at # 43/45, Via X Giornate – 25063 Gardone VT (BS) – Italy (herein under referred to as the "Company") will handle all personal data received by you and/or other sources in compliance with all applicable regulations and under the following provisions. In addition to collection, data handling may also consist of data registration, organization, structuring, preservation, adaptation, modification, extraction, consultation, use, communication by transmission, dissemination and/or any other form of disclosure, comparison or interconnection, limitation, deletion or destruction and will be carried out in hardcopy, paper form, or with the aid of computers and electronic devices by employing appropriate tools to guarantee the safety and privacy of such data, in accordance with articles 32 and subsequent in The General Data Protection Regulation (EU) 2016/679 i.e. “Safety Measures for Processing Personal Data”. In particular, the Company will adopt all technical, IT, organizational, logistical and procedural safety measures appropriate to the level of risk depending on the nature of the data. The applied procedures furthermore guarantee that access to personal data is allowed solely to people entrusted with handling data on behalf of our Company. b) when such communication is required to assure the correct establishment and/or continuation of the business relationship with you. In particular, data can be communicated to the following categories: sales, banking institutions and payment processing companies, legal firms and consultancies, auditors working with the Company, public authorities or administrations carrying out legal duties, Italian and foreign suppliers, financing or transport companies, third parties entrusted with the quality control of the distribution flow, in addition to other companies that may be part of our Group. For the strict and necessary purposes of enabling the contractual relationship with you, your personal data may be communicated to judicial subjects of foreign countries whether within or outside the European Union always with respect to the rules contained in articles 44 through 50 of The General Data Protection Regulation (EU) 2016/679. 5. Receive notification in case of rectification, deletion or limitation of personal data. We would like to inform you that your consent to handle your personal data in the ways and for the purposes mentioned above is optional. In the event of your refusal, the Company will not be able to handle your personal data and will only be allowed to utilize it in compliance with the duties defined by law, and with the potential consequences described in point 3 above. As you known, The General Data Protection Regulation (EU) 2016/679 provides for the treatment of personal data with the consent of the interested party, except in cases of exclusion specifically designated by the law itself. For this reason, we invite you to fill in the form electronic consent request as proof of receipt of the information referred to in this letter, as well as expression of the consent to the processing of personal data. 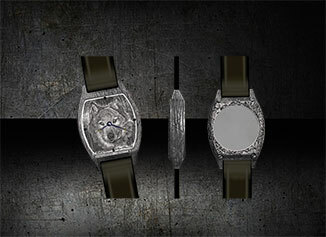 The incision in the goldsmith, as decoration and customization of a ring, bracelet or another. 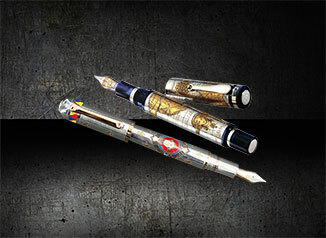 Engravings on metal gift items, pens and more by providing our expertise and skills. then creating beauty will grace us with moments of joy”. 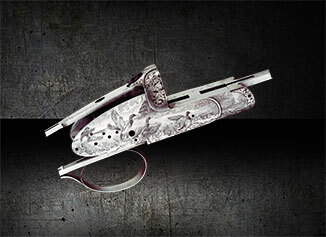 an endless number of hues created by men That is the essence of the Master Engraver’s work. Famous all over the world, Bottega Incisioni can be described as the place where joy in engraved into the core of essential objects, like a tangible expression of body and soul.